Pioneers in the industry, we offer rotary joint / roto seal, rotary pressure joint, rotary pressure joint skrsa and rotary pressure joint model skrsa from India. Fostered with rich industry experience and a highly experienced team of professionals, we are offering Rotary Joint / Roto Seal. 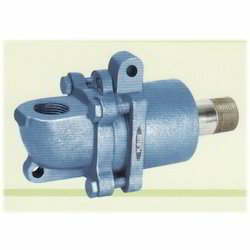 This product is available in various specifications as per the requirements of customers. Our offered product is used for different types of rotating syphon system. We manufacture this product using sophisticated techniques and high quality material in adherence with the set norms of industry. 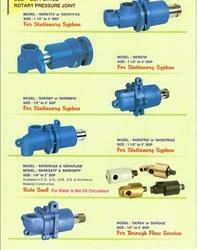 Our enterprise is the remarkable name in the market deals in manufacturing and supplying Rotary Pressure Joint. The offered pressure joint is developed with the help of top quality material and modular techniques in compliance with set industry standards. This pressure joint is made obtainable in number of specifications for our customers to choose from. 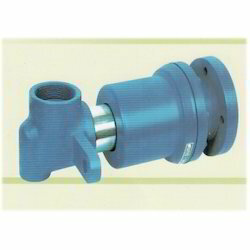 Clients can avail this pressure joint from us at nominal price in a stipulated time. 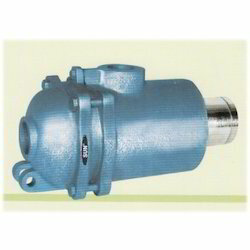 We are the well-known manufacturer and supplier of a wide array of Rotary Pressure Joint SKRSA. Our offered product is acknowledged among customers for its superior quality. This product is manufactured under the visionary guidance of experts utilizing finest grade material and latest techniques in conformity with set industry norms. Besides, offered product is properly checked on different quality parameters assuring its excellence at customer’s end. Our firm is engaged in manufacturing and supplying a vast array of Rotary Pressure Joint Model SKRSA. This product is available in different specifications as per the needs of customers. Our offered product is valued in the market for its fine finish. The offered product is manufactured under the supervision of experts utilizing superb quality material and advanced tools in adherence with prevailing market trends. Looking for Rotary Pressure Joint ?